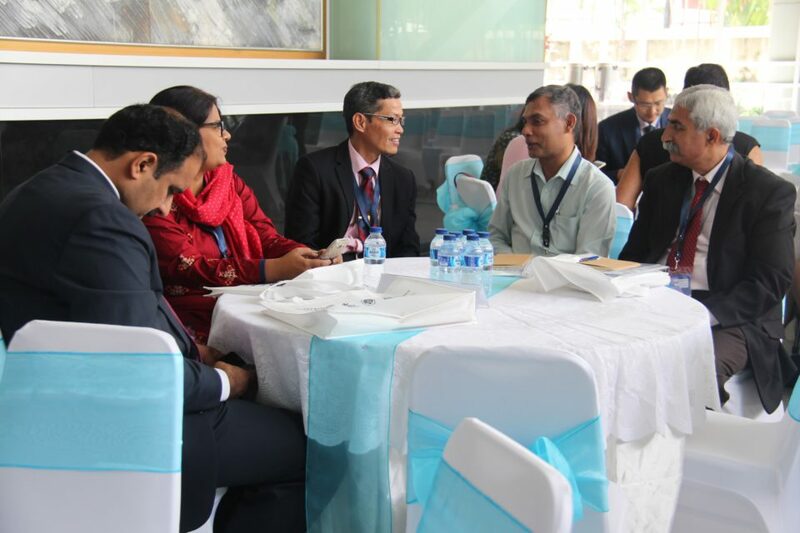 All the countries noted the need for holistic approach and comprehensive ecosystem to cover curriculum, teachers and teaching practices, on- and off-campus entrepreneurial activities, linkages to the industries, mentorship, career guidance and counseling, innovation and incubators centres, internship and practicum programmes, etc. Within the higher education setting, balancing academic demands and workloads against entrepreneurial activities outside the classrooms is challenging for both students and teachers. The preference for stable jobs, fear of failures and avoidance of risks are hindering many young people in pursuing entrepreneurial activities. While these findings should not be taken to represent the situation in all Asian and Pacific countries equally, they provide a fair overview of the status of entrepreneurship education in the region. To support entrepreneurs in becoming the drivers of growth and creators of jobs, better understanding of the enabling factors and conditions will be necessary. 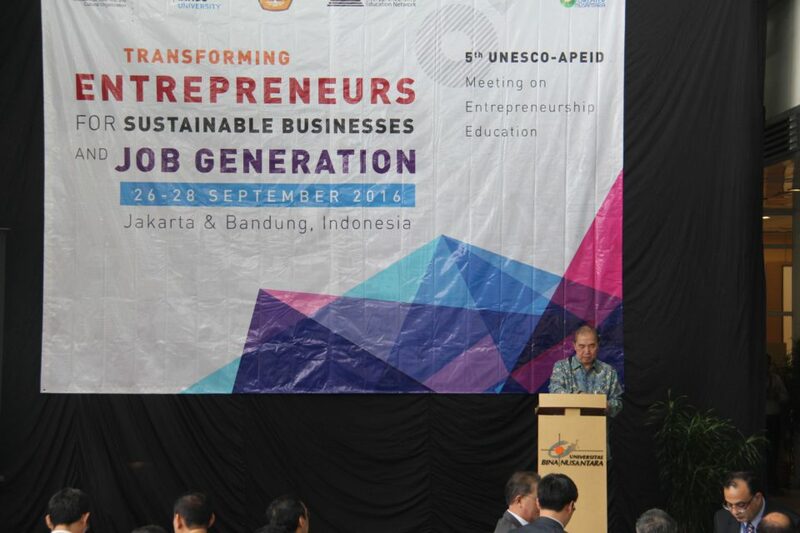 In response to this need, UNESCO, BINUS UNIVERSITY, and Universitas Padjajaran are co-organizing the 5th UNESCO-APEID Meeting on Entrepreneurship Education, Transforming Entrepreneurs for Sustainable Business and Job Generation, on 26-29 September 2016 in Jakarta and Bandung, Indonesia. The outcomes of the meeting will be used to further collaboration among EE-Net members to enhance the quality of entrepreneurship education in their respective countries, emphasizing that entrepreneurship is a viable career path. 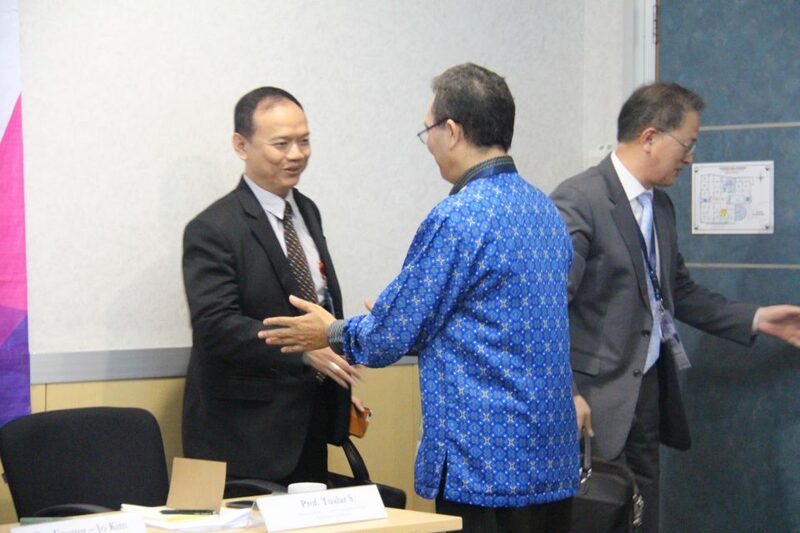 The meeting in Jakarta is hosted by BINUS UNIVERSITY, held at BINUS JWC and fX Campuses, Senayan. 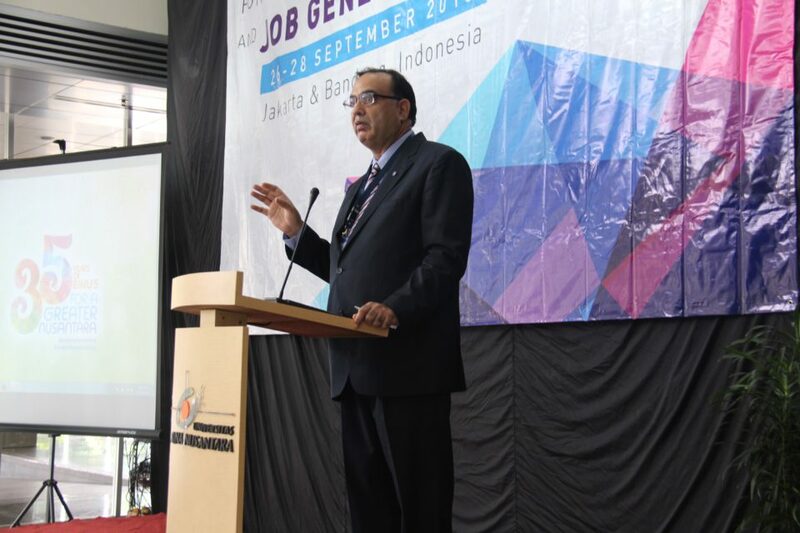 The first day of the meeting was started at BINUS JWC Campus at 09:00 PM, opened with welcome speeches by Ir. 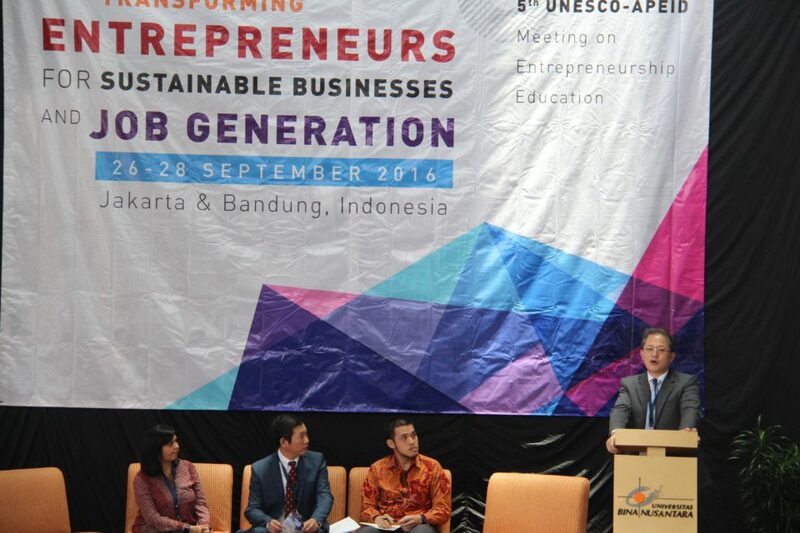 Bernard Gunawan, the CEO of BINUS GROUP, Prof. Dr. Shahbaz Khan, Director of UNESCO Jakarta, and Ir. 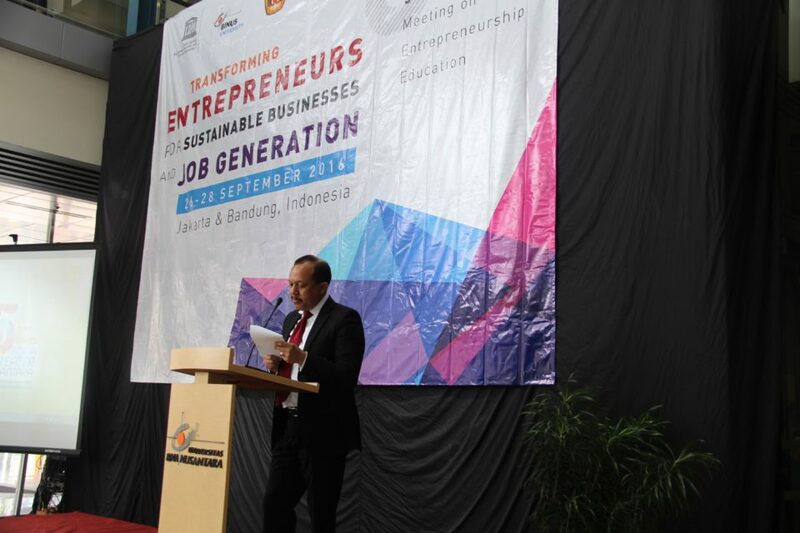 Agus Muharram, MSP, Secretary General of The Ministry of Cooperatives and SMEs. Compared to other ASEAN countries, the numbers of entrepreneurs in Indonesia is still very low. The percentage of entrepreneurs in Malaysia is 5 percent, Singapore 7 percent, while in Indonesia the percentage is only around 1.65 percent. 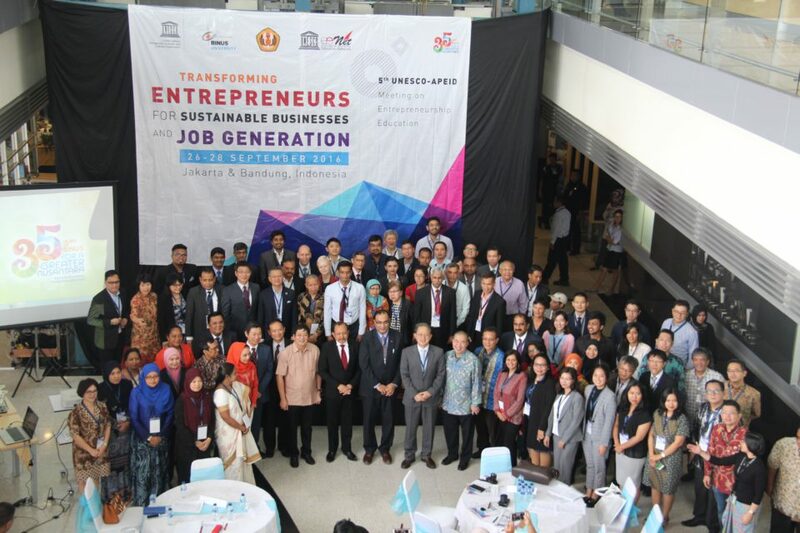 Entrepreneurship in Indonesia is dominated by micro, small, and medium enterprises (MSMEs) that lacking in skills and awareness of products’ value added. Therefore, educating the MSMEs entrepreneurs is crucial. 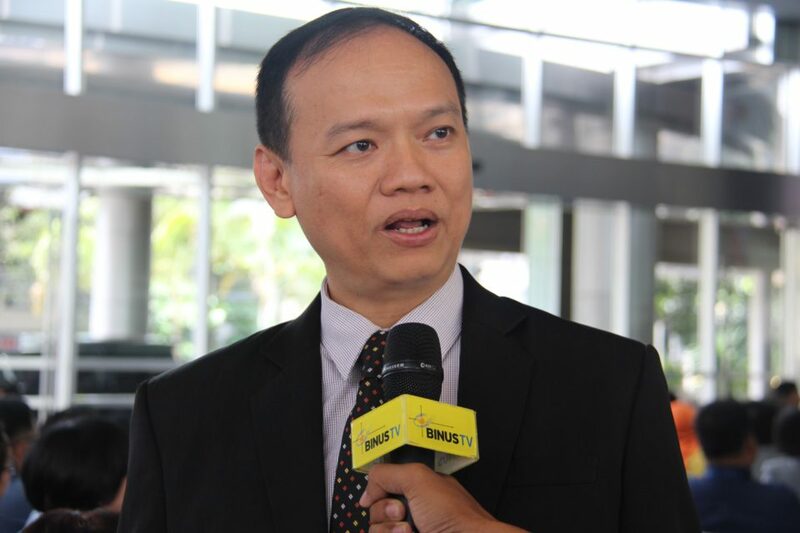 “It might not be the same issues in each country, but you can combine the off-line and on-line methods to train and educate them,” said Gwang-Jo Kim, Director of UNESCO Bangkok. Gwang-Jo Kim said that Indonesia needs to find the right method to educate the entrepreneurs and create more educated entrepreneurs. With entrepreneurial education, their products could be more accepted by international community. Karen Imam, the Director of BINUS Global, explained that BINUS is cooperating with small and medium enterprises (SMEs) Unions to learn and train together. 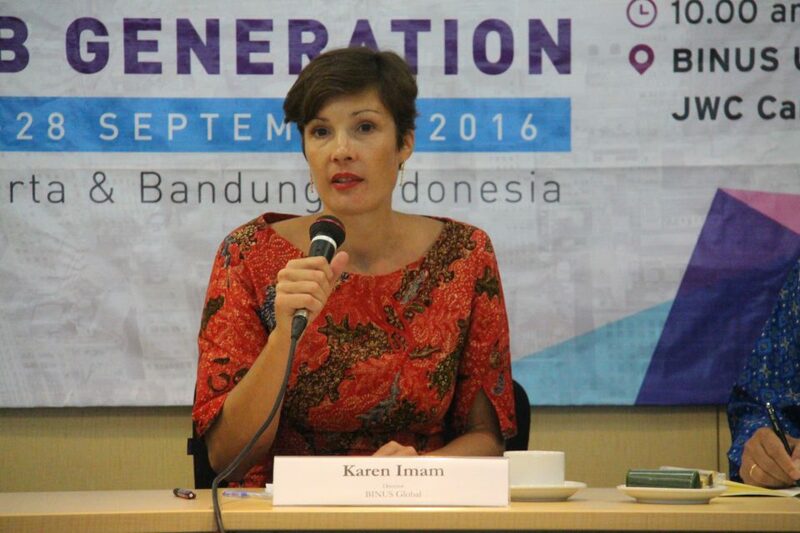 “BINUS students in incubator program have to support the community and provide solutions for SMEs,” said Karen Imam.